Experiencing the best quality of working is everyone’s need. Home is the most comfortable post for most people to run their agenda including working. 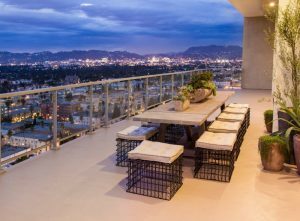 Some people choose to work at home while they are able to enjoy the time with their family. 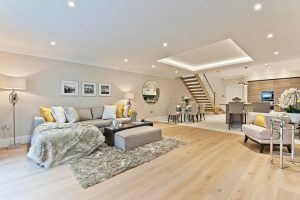 Thus, we have ten ideas of modern home office design you could choose. 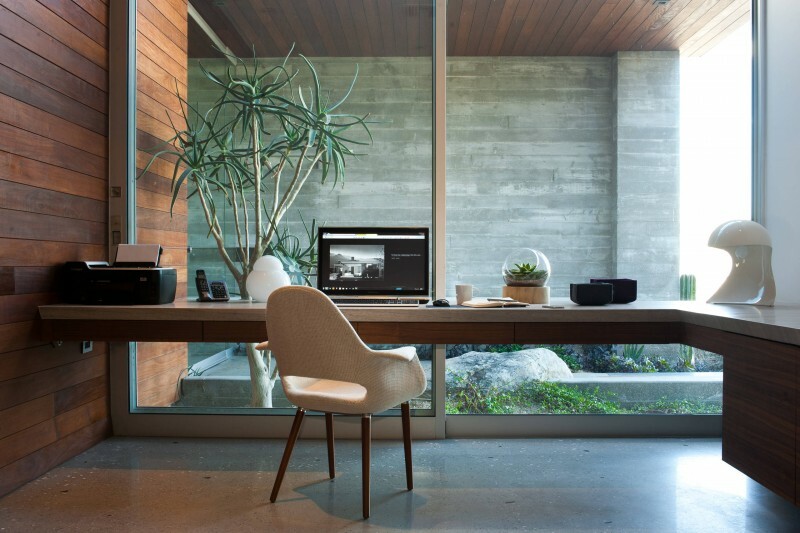 If you wish for a minimalist design of home office, this one would be preferable for you. The built-in floating wooden desk is designed under the floating shelves made of the same material. The brown office chair looks comfortable and neat placed next to the sheer white curtain. This appealing design of home office present you with adorable energetic look from the colors and furniture. It has three warm dominant colors: black, white and green. 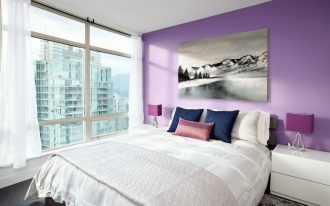 You should take a look at the storage unit or its magnetic office organization where you can do your self-arrangement. It is a brilliant idea to have green desk alongside the pendant light and the white chair. 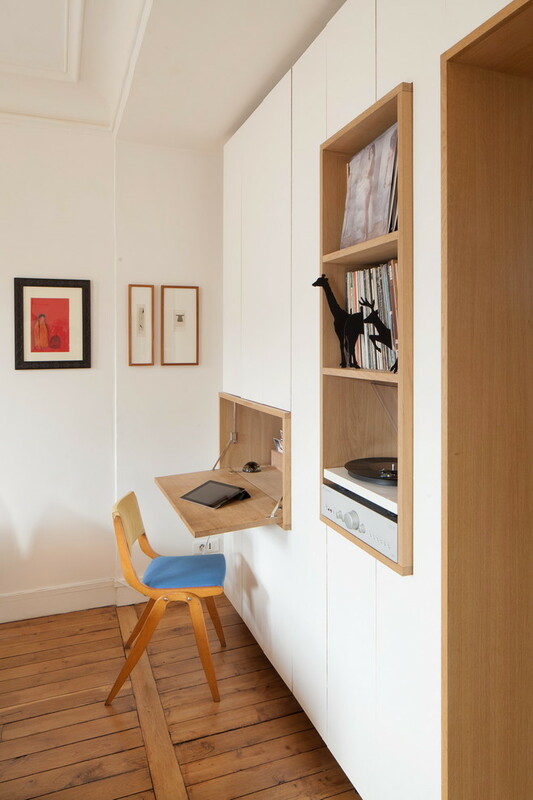 It is a home office with floating L-shaped wooden desk overlooking the garden. The glass siding, wooden wall and ceiling and the concrete wall give you maximum comfort when you are working. 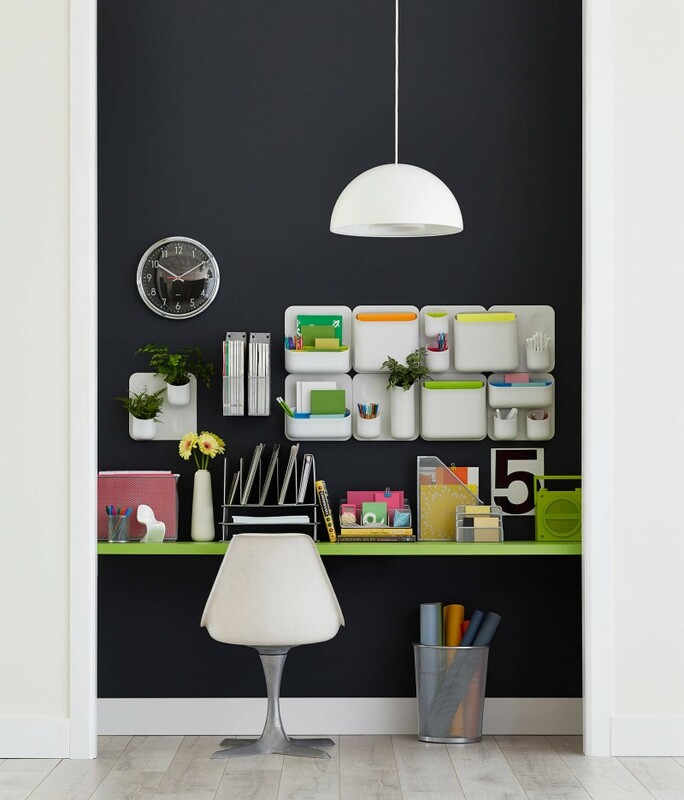 This transitional modern home office gives you the inspiration of having the built-in black open bookcase with textured wall in the middle that you can put some wall decoration. The freestanding wooden table is adorable paired with the white office chair under the drum light. The cabinetry is so appealing because you have the storage boxes put there. You will have your shelves more organized and splendid. In addition, the faceted mirror side table next to the main desk provides you more delicate nuance. Here, the cabinetry is rather classic but it is more magnificent with the wicker boxes inserted into the open shelves. The floating cube shelves and the drum light complete its contemporary look. In addition, the beige wall is so calm and peaceful. It is perfect place to think and work. This is Asian style home office seen from the decoration and of its furniture. You will have your working desk joined with the shelves or the storage. The wall is incredibly amazing along with the office chair and the couch. It is another great inspiration. 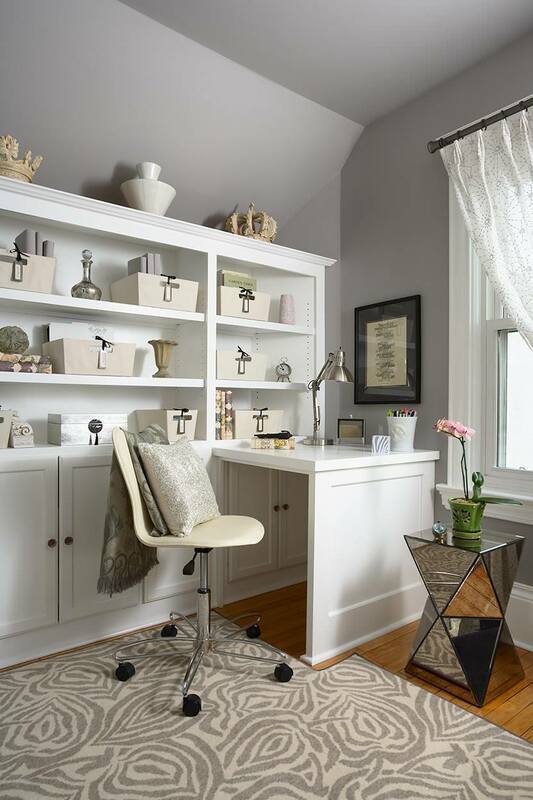 It is another great design of home office with the grey built-in bookcase and paneled ceiling. Not only that, it has freestanding wooden table in a very minimalist yet splendid design. Lastly, it is wonderful for you to see outside from the arched high window. If you seek for another unique idea, this home office with the folding table may fulfill your expectation. 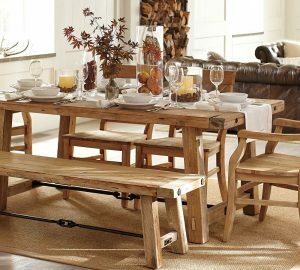 It is not only the folding table that is appealing but the built-in open shelves where you can put books and stuffs too. 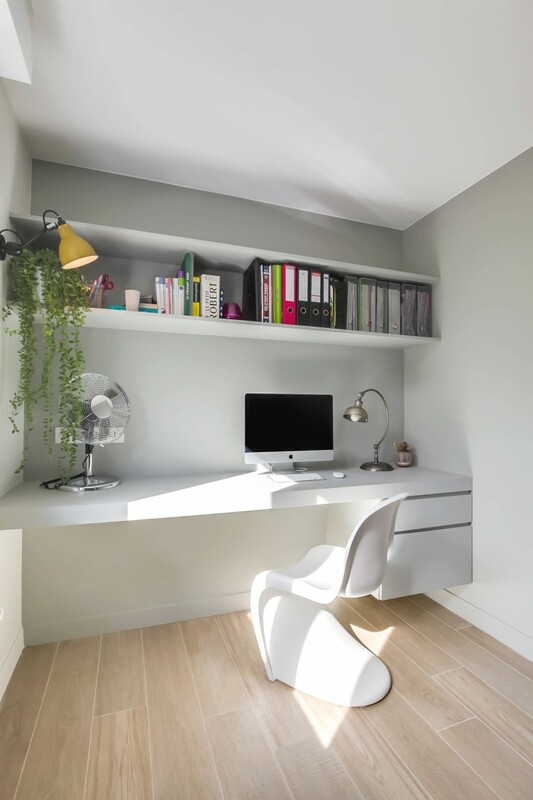 If you only small space but you want a modern design of home office, this one suits you most. It is rather simple with the floating cabinetry and white office chair. However, it looks so comfortable and favorable to work.